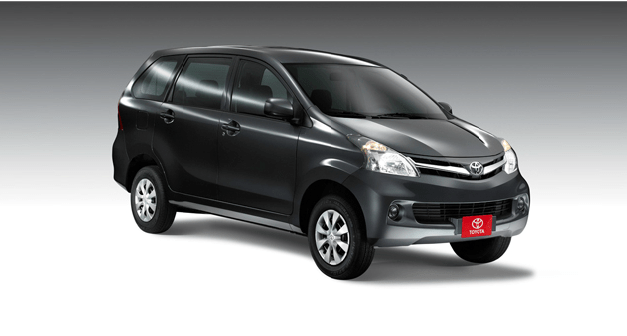 Curbside Classico: Toyota Avanza–What Is That? A RWD Compact Wagon/MPV? Who Would Have Thought? Once upon a time visiting another country was exciting, from an automotive point of view. The streetscapes were replete with exotic cars, many not likely to be seen in the U.S., nor even in other countries–a situation most unlikely today. Sure, Mexico has all manner of badge-engineered cars, but they could hardly be considered exotic despite their sometimes unfamiliar names. But within minutes of leaving the Cancun airport I spotted a car on the freeway, just ahead and in the right lane, that totally threw me: It was a compact tall wagon/MPV, but with a clearly visible solid rear axle and center differential. What is that? I could see its prominent Toyota logo, but barely could make out the badging on the left side, which read “Avanza”. Hmm….never heard of one. And that’s odd, as Toyota’s been building MPV Verso versions of its FWD Corolla and Yaris for years (the current Yaris variant is badged “Ractis“). 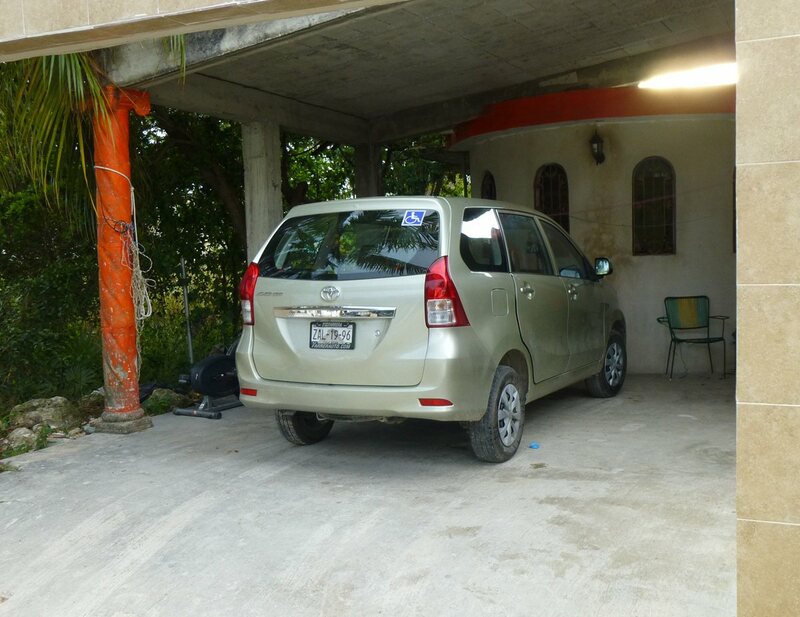 Avanza–I’d have to look it up after we arrive at our rented beach house in Tulum. No such luck: Because the housekeeper had neglected to pay the wireless internet service bill, we were thrown back to the stone age for a week. Quite nice, actually. During a walk through Tulum Puebla, I ran into a couple more Avenzas (Avenzae?) The differential on this one is just barely visible. Then it occurred to me: Could this be, like the old Honda and Toyota wagons of the eighties, a four-wheel drive wagon with a solid rear axle driven by a 90 degree splitter from the front transaxle? That’s something hard to imagine in the 21st century. When I came across this one on the street, I got down on my (bare) knees and checked out its undersides: No front driveshafts, and a genuine norté-sud orientation of the drive train–just like a Corolla RWD wagon back in the seventies. 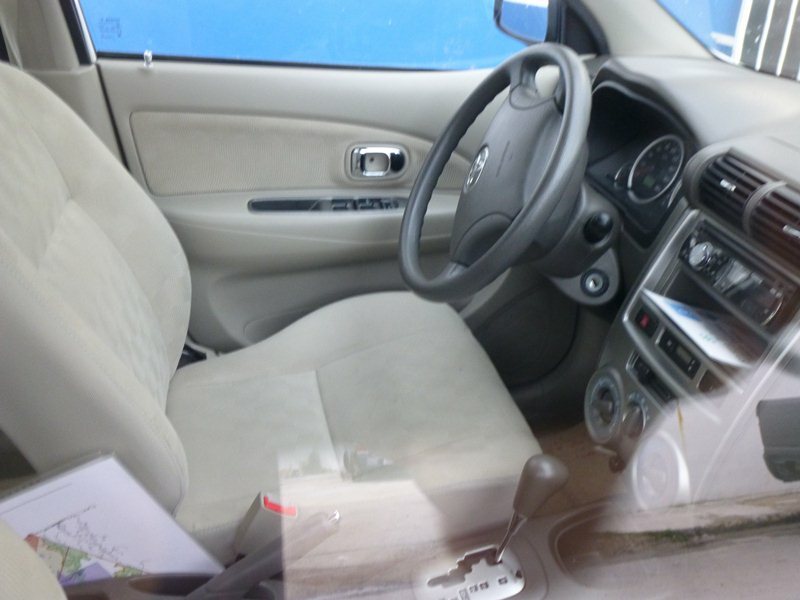 The interior looked generic enough, and the transmission’s intrusion is no worse than that of the console in a FWD car. Although the drive shaft tunnel is obscured from view here, it’s tiny–in fact, almost non-existent, thanks to the tall body. Makes you wonder if today’s tall cars really need FWD. 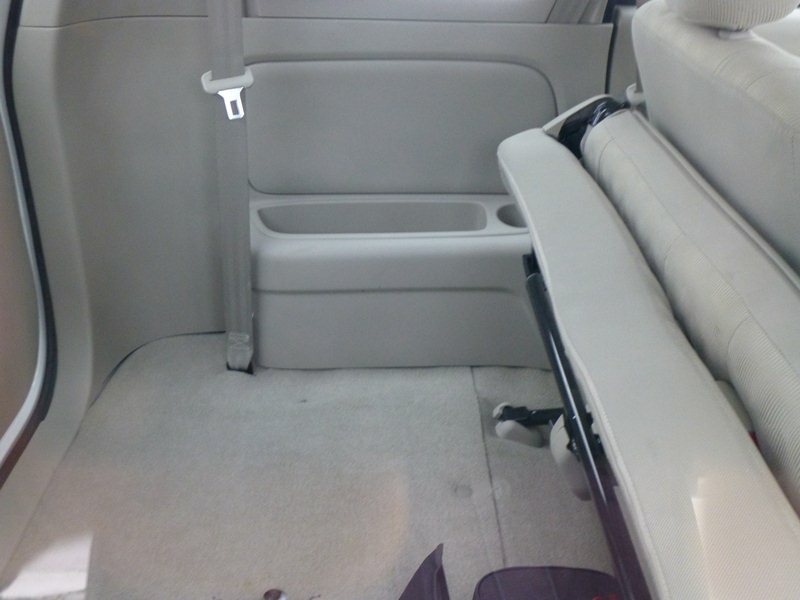 In back, the roomy cargo area features a low, flat floor as well as a fold-up third seat. I was rather intrigued, and eager to learn the Avanza’s story which, as it turns out, is rather long and fascinating. 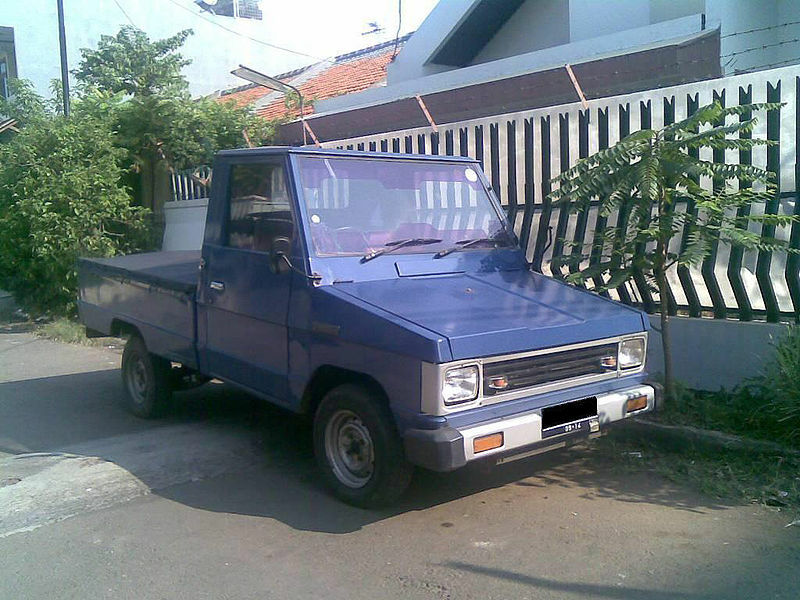 It all starts with the Toyota Kijang, a rustic, low-cost pickup that Toyota had designed specifically for Indonesia, and was built there starting in 1977. The second generation was just a wee bit more civilized. 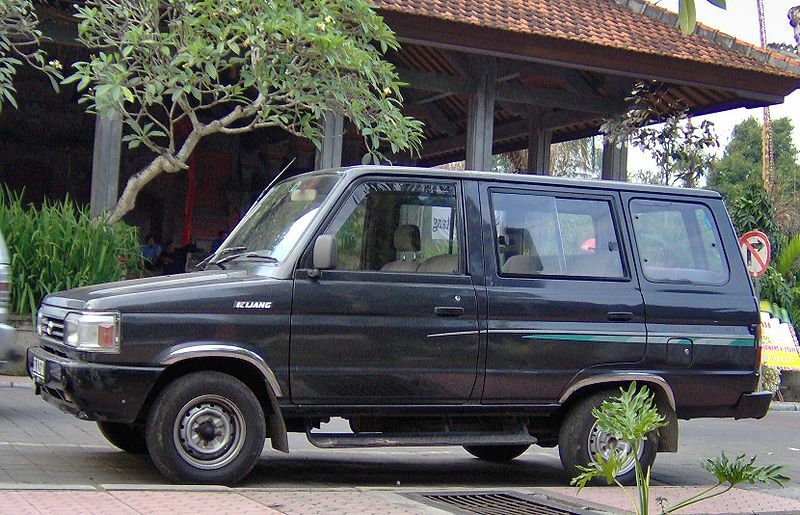 By 1986, the third-generation Kijang sprouted a three-seat MPV version, available in both short-and long-wheelbase models. 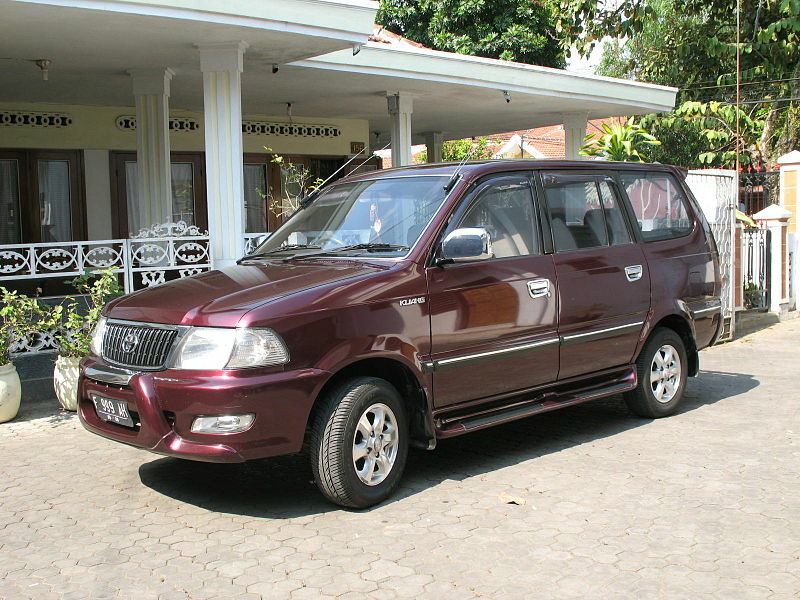 The fourth-generation Kijang was built until 2004, when it was replaced by the larger Toyota Innova. The Avanza was created to fill the role of the previous short-wheelbase Kijang. 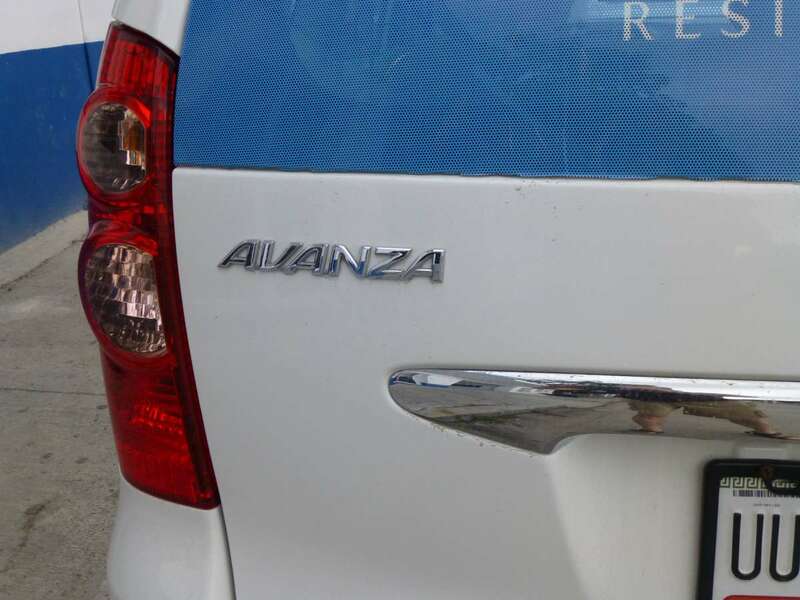 Strictly speaking, the Avanza is technically an Indonesia-built Daihatsu Xenia (Toyota owns 51 percent of Daihatsu), although most are sold as Toyota Avanzas.Even though the job was farmed out to Daihatsu, the engine and other main components are all Toyota. The Avanza is sold in several countries, including the Philippines, Thailand, Brunei, Pakistan, Bangladesh, Sri Lanka, Lebanon, Egypt and India. And Toyota’s JV partner FAW builds it in China. The compact-SUV Terios shares the same 1.5-liter VVT engine, and probably much of the basic chassis. The Avanza has been available with 1.0-, 1.3- and 1.5-liter fours, although only the 99-hp 1.5 1NZ is available in Mexico. To put it in perspective, the Avanza has a 105.5″ (2,655 mm) wheelbase and a 162.5″ (4,120 mm) overall length–about six inches shorter than a Mazda 5 MPV, and narrower too. 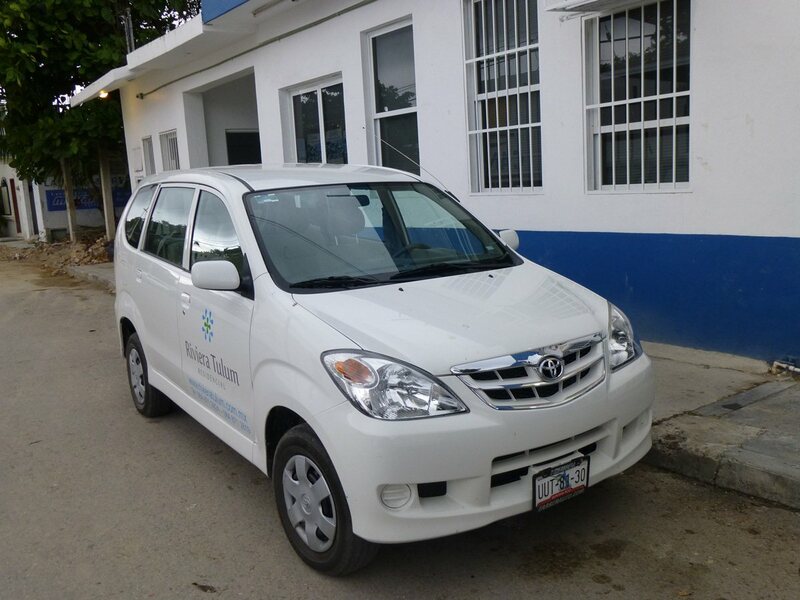 It was designed for the challenging conditions of both crowded cities and rough rural roads, and is often used as a taxi in the countries it’s sold in. Toyota Mexico’s web site confirms that last year, a new generation of Avanza arrived, wrapping the same basic formula in updated styling (here’s a review). The Avanza is the cheapest Toyota to be had in Mexico; its converted price of $15,957 undercuts the Yaris by almost 10 percent. 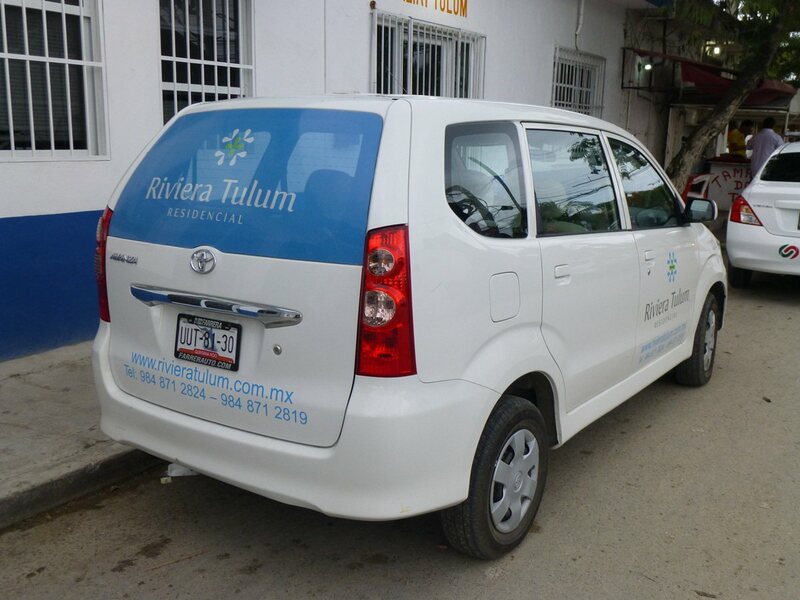 But then, cars are hardly cheap in Mexico, with Toyotas costing about the same or more than in the U.S. Traveling is about encountering and learning about unexpected new things, and in that regard the Avanza, modest as it may be, provided the automotive highlight of the trip. I’m just not accustomed to running into a totally unknown car, especially a Toyota. Kinda’ of reminds me of being a kid again: what is that? Like you, I had not idea that these even existed. Now I want one, although it would have to be a stick. There is something about a rock-simple RWD car that appeals to me. It just needs some slightly bigger wheels and tires to fill those wheelwells. The lack of air bags, abs, side impact beams, or any other safety equipment reduces my appeal. The bigger wheel and tire thing is not want this car needs. It’s all about cost; these are almost always commercial vehicles and Toyota would put a common, and cheap, tire size on it. I doubt anyone were would like this car; the 1.5 litre couldn’t keep up with highway traffic here. Good points. However, I think that in terms of families with multiple vehicles (like mine) we have become spoiled if we expect all of them to blast comfortably down the interstate at 80 mph. I am probably hopelessly out of step with the mainstream here, but I would have no problem with one family vehicle being a light duty suburban runabout. I don’t need 200+ horsepower to pick up a loaf of bread or a Redbox movie. This was sort of my rationale for buying our Honda Fit. Although it CAN make highway trips, my other cars are better at that job. I would trade a good deal of the Fit’s power for lighter weight and more mpgs. When I spent time in Germany 30 years ago it was common for families to have a city car and a highway car. The family I lived with had a Citroen Visa, which could get to minimal highway speeds if pressed, but was whiny and buzzy about it. 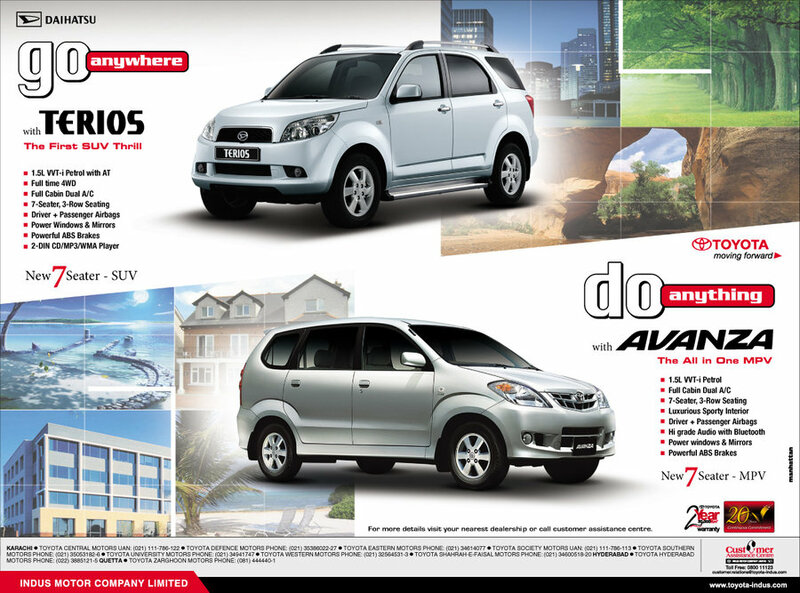 The top of the like 1.5 S Avanza in Thailand is available with dual driver/passenger side airbags and ABS. It also has some sort of side-impact protection, and I read on one website that the front and side crash test results were good, though the site did not cite specific testing data. 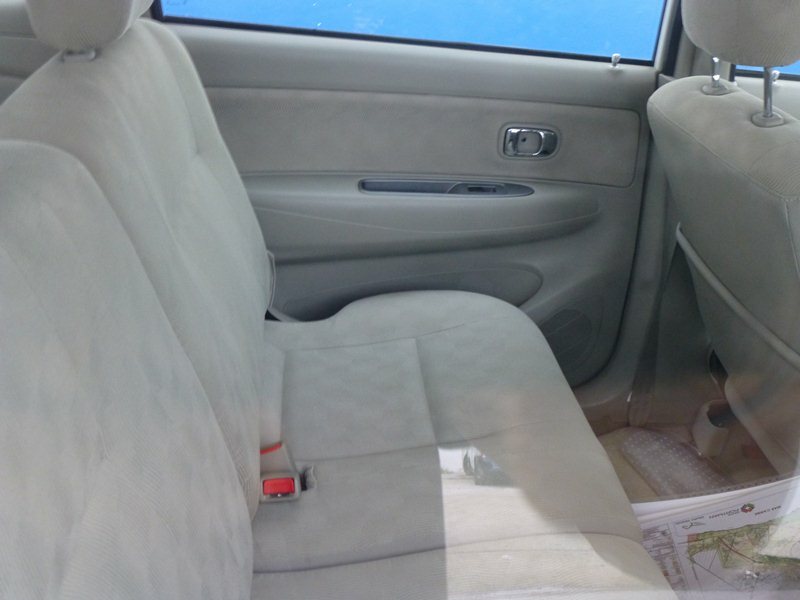 (The 1.5 E also has a driver’s side airbag, but nothing for the passenger). I have driven several of the first generation Avanzas. They feel rather primitive by US standards – a lumpy suspension, a noisey enigine with anemic acceleration, and very little space behind the third row of seats. The tailgate doesn’t even have a release on the outside! But on the plus side, it’s affordable, gets good mileage, seats seven (six 3-point belts and head rests and one lap belt) and has a tight turning circle, and at least some safety equipment. I love the “what is that?” moment! They come so seldom. I had a few of those on my last trip to MX, which was in 2006. One of those moments was my first encounter with a VAM Lerma, which I didn’t even know existed. The Avanza looks like a useful little hauler. These things are the “people’s car” here in Indonesia. Almost every other car on the road is one of these. Kinda like the VW Bugs in Mexico back then I guess. I suppose it should work well in Mexico, the RWD thing is mainly for ruggedness and simplicity, not for any performance reason. Which is, I suppose, why it’s so attractive to many people. And having owned one in the past, it’s quite a fun little car. I’ll bet those chromed pulls have that dadblatted plastichrome on them, not metal. My car has plastichrome and it breaks and chips off and then you slice your fingers on what’s left. Argh. I saw loads of Innovas in India, instantly guessed that it was a low tech people carrier for developing countries, although in India it looked pretty high tech in a sea of Hindustan Ambassadors. Strangely F10 5 series and Jaguar XFs and XJs are reasonably common in India, probably reflecting huge inequality. They look like gaudy intergalactic interlopers from the back of an auto rickshaw. Finally! A vehicle which puts the “purpose” in “multi-purpose-vehicle” (MPV)!!! These things are all over the Philippines, where they are called the “FX.” They act as kind of an air-conditioned jeepney This is a perfect car for a developing country; simple, low tech and easy to work on. Not to mention being as tough as nails. But since it can’t do a 13 second quarter mile, we can’t get it. several 30s Packards, a Valiant this is just traffic, You would love HawkesBay Paul. It looks like it has at least a driver side airbag. 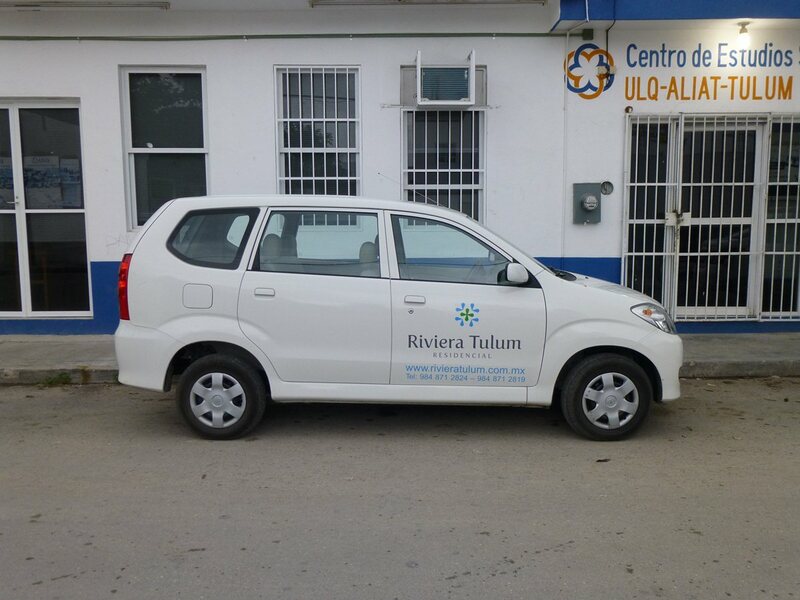 The TERIOS in the brochure was also sold here in Mexico as the Toyota Rush for a short period of time. It’s smaller than a RAV4 and I found it very cute. The Avanza has a high center of gravity (it’s tall and very narrow) and does not look too stable on the road. The Top Gear “fox” Terios! The Terios was also sold here in Australia. Weirdly-proportioned little beast. The Avanza is likely the only current Toyota/Lexus/Scion in all of North America to have the fuel filler on the passenger (right-hand) side, other than the Subaru-engineered Scion FR-S. I would like to read a study of how Japanese firms name their export products. Somebody decided that “Avanza” can work anywhere, but “Kijang” is good for Indonesia only? I actually think it has a cool ring to it. And “Probox” works too, but maybe it sounds too much like something from Home Depot. “Ractis” sounds like a lizard or a disease to me, but maybe that’s only to American ears? Well, Kijang means deer in Bahasa Indonesia, so it’s a very local name. I believe that the same car is called the Tamaraw in the Philippines, which is an indigenous hooved animal there. This Toyota Avanza was even an inch shorter than the unrelated FWD 2000-05 Toyota Echo. I saw one of these in San Diego today. I wonder if these things can be registered in California somehow, or if this guy was just visiting from Mexico. I actually own one of these (2016, 1.5L automatic) here in Mexico. I wanted something simple, cheap, and reliable. After reading the reviews, I was expecting it to be under-powered, but I’ve been really impressed. No issues with maintaining highway speeds (maxes out at about 170 kph). Does an okay job on rustic roads, but I often need to add weight above the rear wheels to avoid slippage. Have even crossed the occasional shallow river without issues. I’ve been very pleased. Tires are small, so you do need to be extra careful with large potholes. Probably wouldn’t want to go to fast around a corner either, since the center of gravity is a bit high. These newer models come standard with airbags and ABS. Nah, power’s not an issue. It’s a lightweight car, weighs just a smidge over 1.1 tons. AFAIK it’s the lightest in its class, at least in its homeland. Indonesian here. 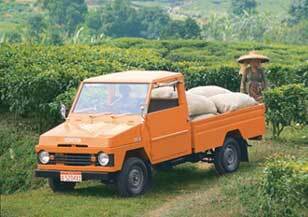 This car littered the streets of cities, towns and villages in Indonesia for 14 years straight. My parents owned three of them from 2007 up until now, and it served the family really well. The major downside of this car that I can think of is the rear suspension. It’s notably wallowy on all variants, even though it can take heavy loads with little problem. This car has the best mileage on its class in its homeland. No other RWD car can have 15-17km/liter mileage, only avanza does. The 1.3 version is even better with almost 20km/liter. I have been overlanding with some avanza recently, they keep up well with 7 passenger and luggages. Very very economical, however it is not comfortable when hitting bumpy road at high speed. This little mpv known for its efficient fuel and tough in rural area, with a plus of very low mainetance cost. Unlike other mpv that is FWD that easily break their legs when driving on rugged road too much.